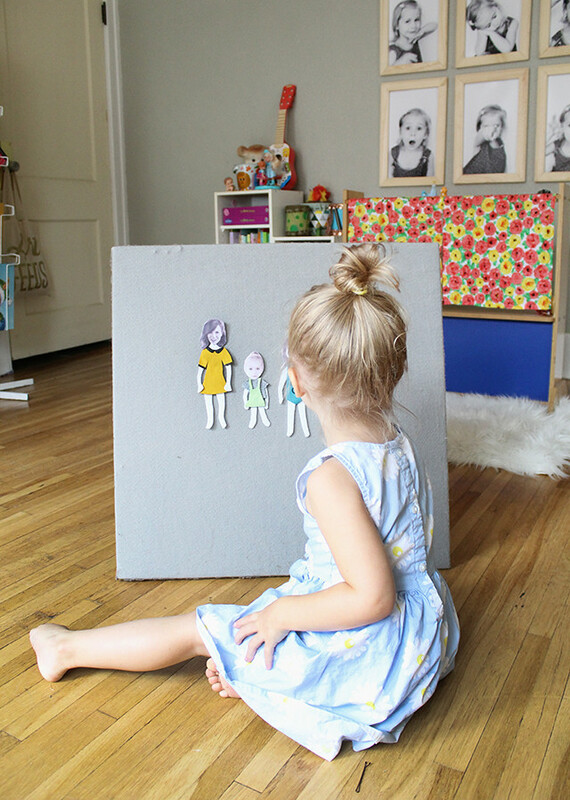 We are big fans of felt dolls around here. 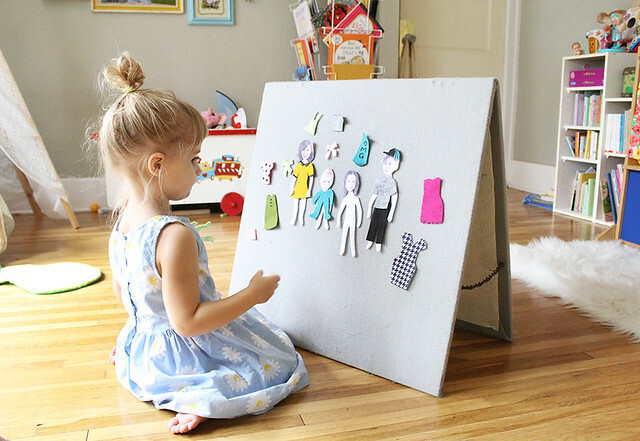 Poesy and Hope have quite the collection of store bought and handmade felt dolls and accessories, and we have this nifty board that Rachel made a while back. 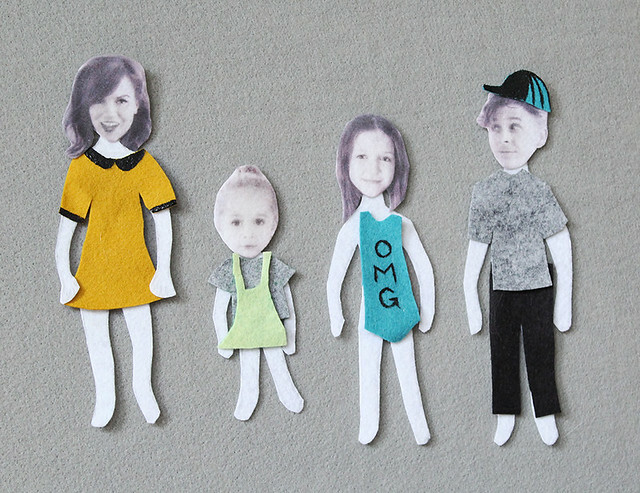 We decided it would be funny and fun to make some very personalized dolls for the collection. 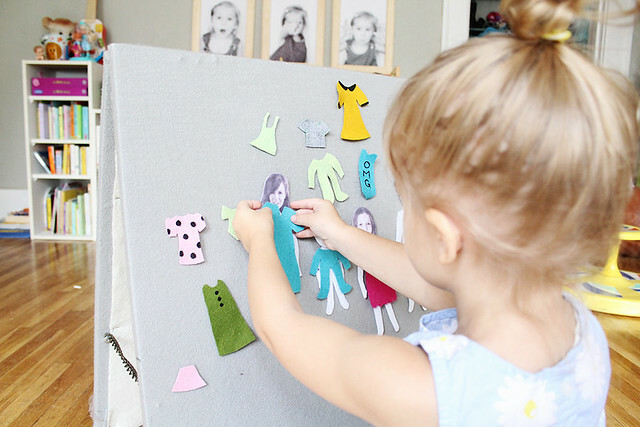 Today I'm teaming up with Canon USA to show you how to make your own personalized felt doll family at home! Alright, first things first: I wasn't sure if this DIY was even going to work, because I wasn't printing on paper like I normally would. 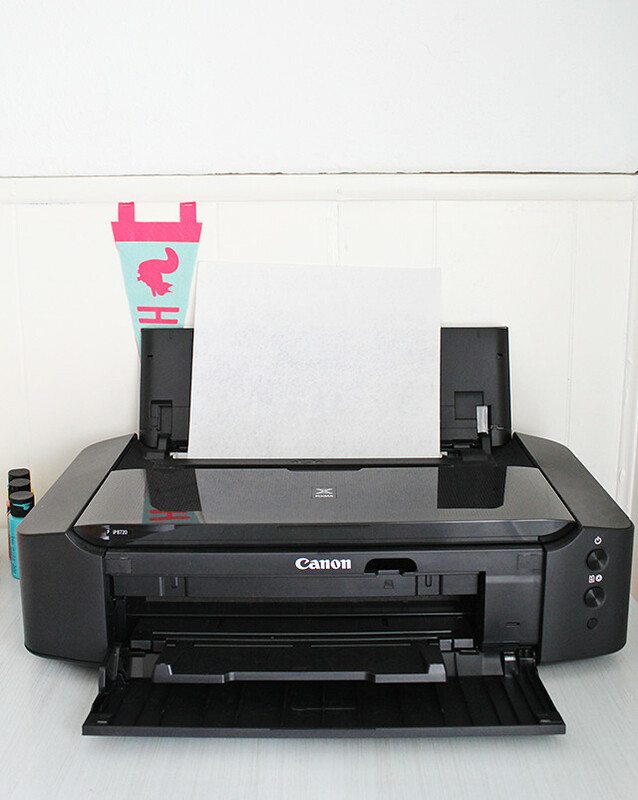 I bought the extra rigid felt sheets from the craft store (regular felt probably won't work because it's too soft) and put it in my PIXMA iP8720 printer, just as if the felt sheets were paper. I chose my images for print and resized them in Photoshop. Then, I held my breath. It took a little bit of helping, but the felt went through the printer just as paper would. Whew. This is what the images look like all printed out. 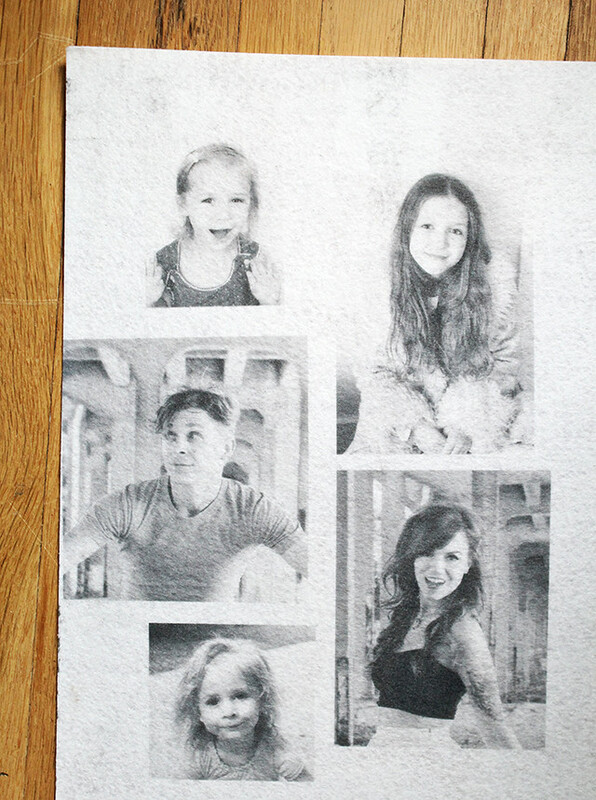 Obviously they aren't as sharp as they would be on paper, but they still look good for being printed on a fuzzy piece of fabric. Success! 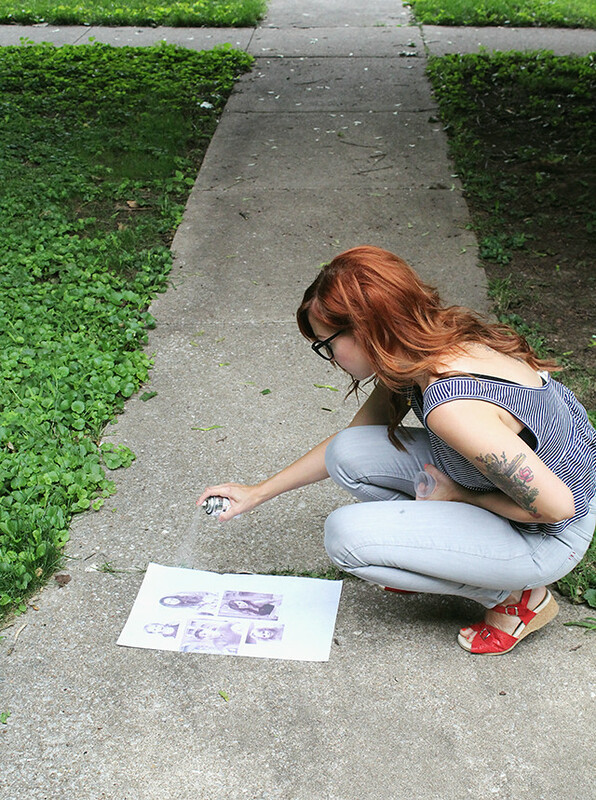 The images were bleeding onto my fingers, so I sealed them with a matte sealer. You can get a sealer at any hobby store. After everything was dry, I cut the heads from the fabric. 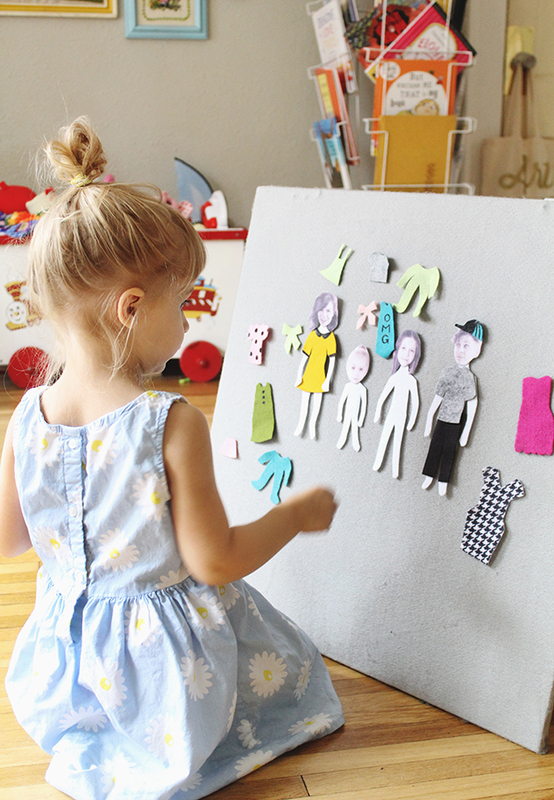 Next, I cut out bodies for the dolls and Hope helped me design and cut out clothes for them. I used a tiny dab of hot glue on each one to affix the head to the body. 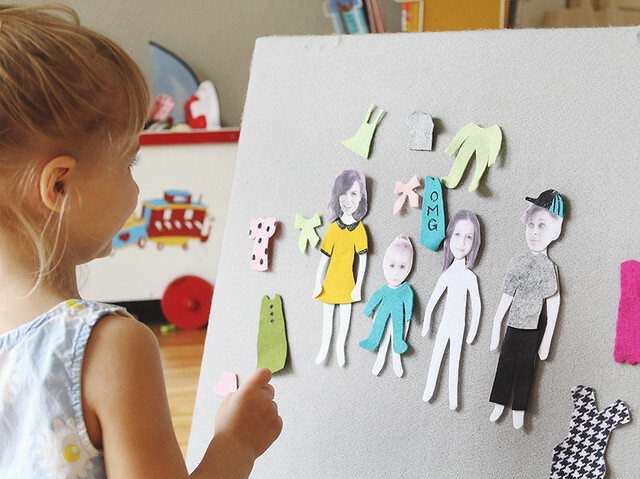 Poesy was pretty tickled with these "Mama, Daddy, Hope, and Poesy" felt dolls, and Hope had a good time designing clothes with me. All-in-all I'm going to call this one a DIY success. xo. You and Canon are becoming quite the duo! What about those of us who don't have a Canon printer? This is such a cute cute idea! ummmm... cutest idea on the planet!! This is so cute!! What a clever idea, Katie! Love this. Poesy looks like she's having so much fun. This is such a sweet and neat idea. 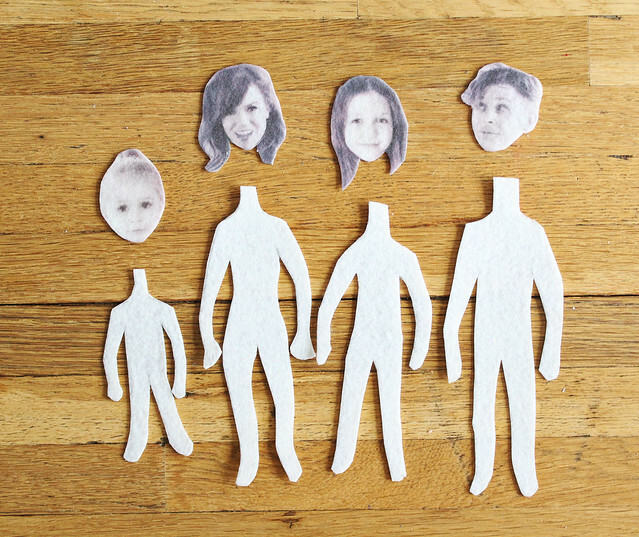 I loved paper dolls growing up! This is a great way to reinvent and resurrect that. 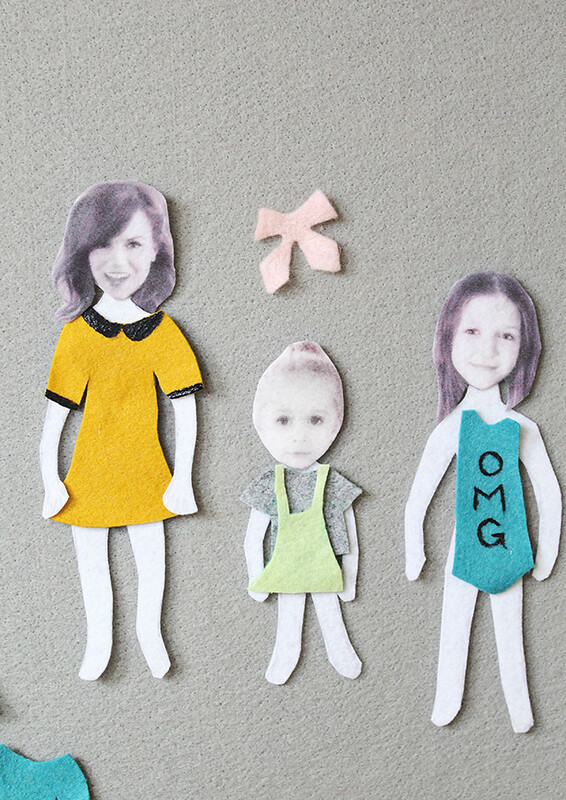 Love, love, love the idea of printing family photos onto felt. Totally pinning this! I really how it works for both age groups as I can really imagine the older ones having a blast designing the clothes for the younger ones to play with. Can I know what is the board made of to adhere to felt ? 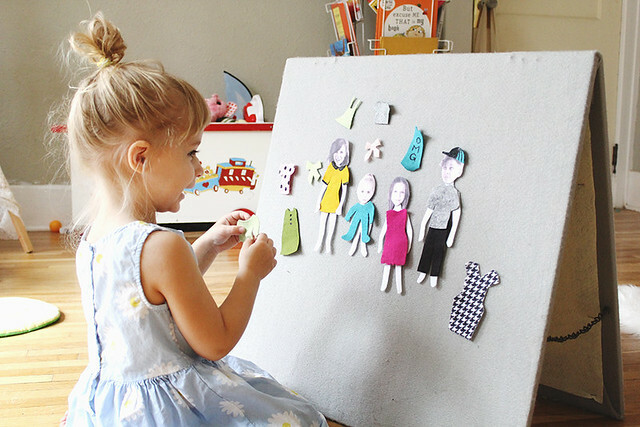 When I was a kid my favorite part of Sunday School was when the teacher would use the felt storyboard to help illustrate/teach the lesson (or maybe it was mostly to keep us engaged and paying attention, hmm...). I thought it was so fun and this is such an easy DIY. Thanks for sharing! My almost-4 year old would LOVE this! What a cute idea! I'm really surprised and impressed that the felt worked with the printer. My little sister would LOVE this! This is soooooooo adorable! What a great idea! What a cute idea! :) My Aleah Hope would love them! 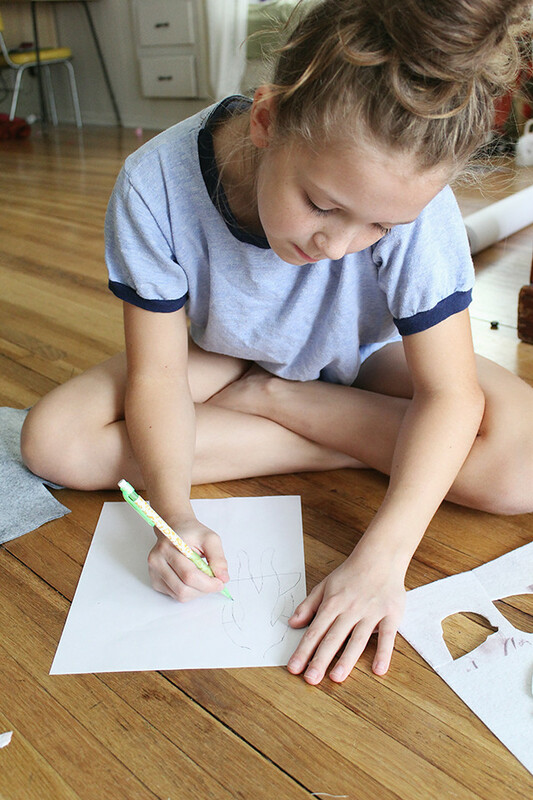 :) I love Posey's "messy bun," (as Aleah calls it) too! Aleah rocks one almost every day!